The Vortex may look like a lightweight but don't let that fool you! With a sole unit capable of long distances, a Gore-Tex lining to protect against the rain and a tried and tested Vibram Dynatech 2 sole unit for reassurance, this really is an approach shoe for all seasons. 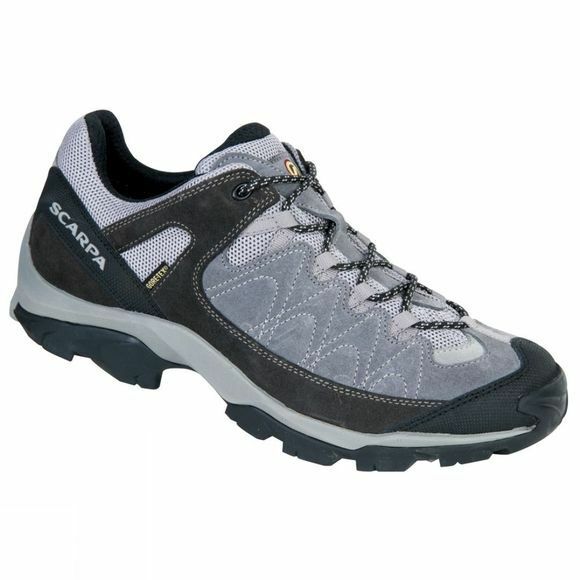 Ideal for hiking, day-long walking trips on mixed terrain, the Vortex shoe is versatile, waterproof and comfortable. Great if you prefer a little more freedom at the ankle.